All that glitters is FUN! 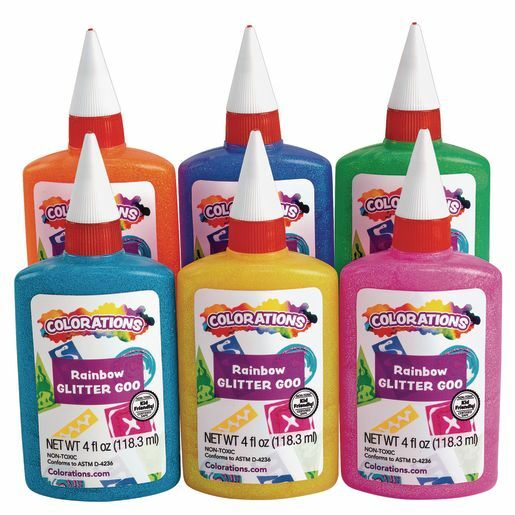 Make sparkling works of art with our brilliant rainbow colors of iridescent glitter glue. 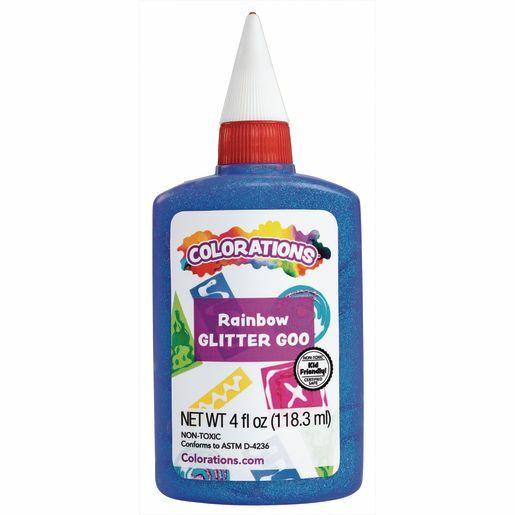 Narrow-tip nozzle allows glue to flow so children can make wonderful designs or add glittering accents to their crafts. 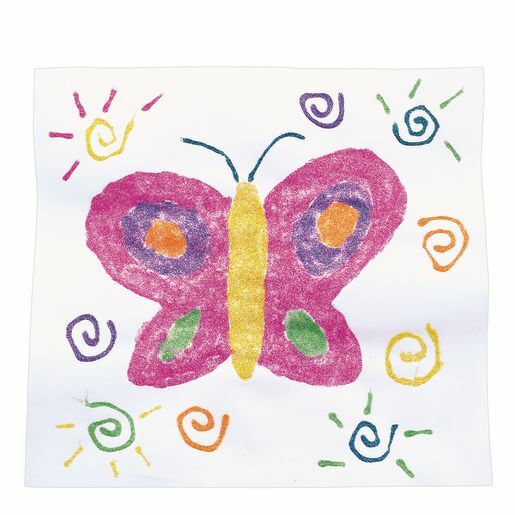 Blue, hot orange, hot pink, lime, purple and yellow. 4 oz. bottles. Non-toxic.